I’ve never liked chrome wheels, and I don’t just mean the obvious double-discount aftermarket variety. Some cars come with chromed wheels stock, and it only looks like a tacky and cheap attempt at providing a luxury look. This is Jalopnik, where the budget trim look isn’t just welcomed, it’s sought. The biggest offender of an automaker slapping chrome wheels on a stock car is without a doubt Chrysler and Dodge. 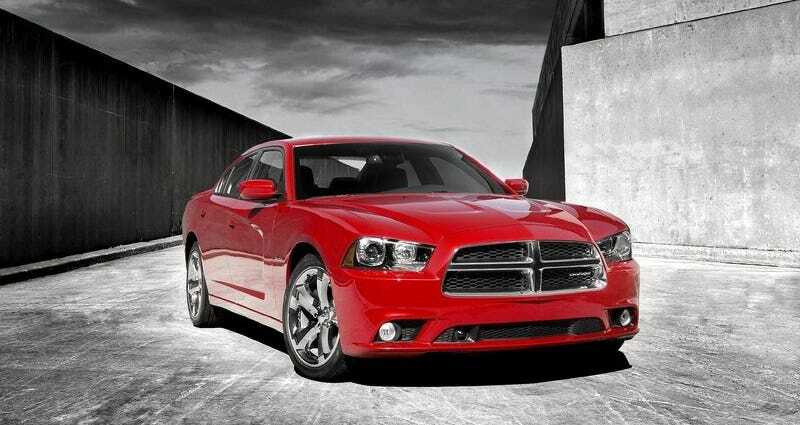 Perhaps that fits the company’s design language, but I’ve never been a fan of the big, fat five-spoke wheels Dodge was putting on the higher-trim Charger and Challenger models a few years ago. It looks desperate, not to mention it’s difficult to keep looking all clean and shiny. I’m much more satisfied with the industry’s turn towards flatter, darker colored wheels to contrast more colorful paint options — Subaru, Kia, and BMW’s more-expensive expensive stuff are all currently nailing it. Chrome just feels aftermarket to me in the worst of ways. Let it be known I am a “keep-it-looking-stock” guy. When I wanted new wheels I put ‘09 18" BMW 135i wheels on my ‘03 325ci. They “fit” just fine, luckily, and at the time de-aged the car a few years. Stock design choices taking a look popular in the aftermarket works for Jeep, but not for Dodge in my eyes. You’ll notice they ditched the chrome. But, please, I implore you — show me chrome wheels done right, and make me a believer.